Click the button below to add the DMX-512 I/O Shield Bare PCB Board for Arduino to your wish list. 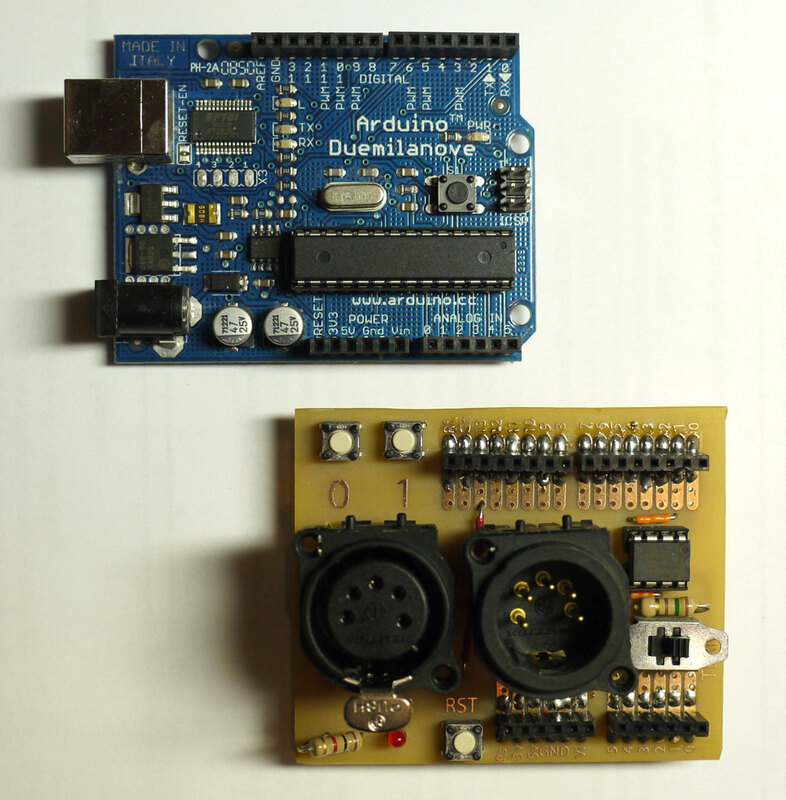 Max Pierson designed a very excellent Arduino DMX-512 I/O shield. Please refer to his site: http://blog.wingedvictorydesign.com/2009/04/29/arduino-dmx-512-io-shield/ for more information. 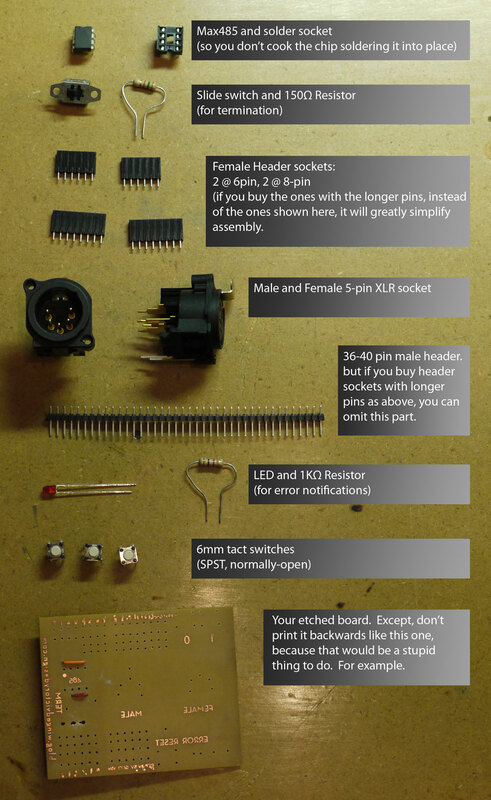 We support his project by supplying bare Arduino DMX-512 shield. The parts you need can be found on his website too.